Log cabin mobile homes can be used as a weekend getaway, writers retreat, hunting camp or just a fun man cave. 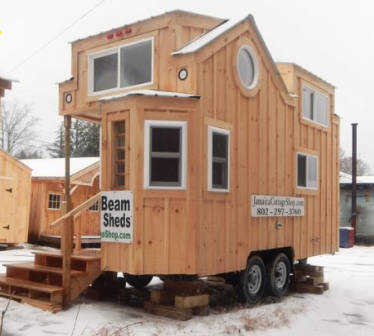 Distinct from modular log homes, which are built in factories but are meant to be installed on foundations as permanent structures, log mobile homes are cabins that can move. These portable log cabins can be moved since they’re built on wheels. You can find your own piece of property to settle down permanently and simply drive them onto your land. 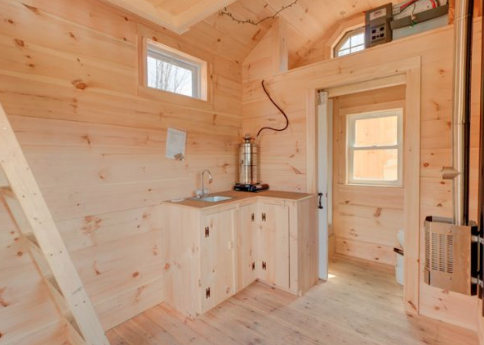 Although not designed as truly mobile cabin RVs because of the weight, these are small cabins that can be built in one place and transported elsewhere to be set up for weekend living, hunting and fishing retreats or self-sufficient tiny homes. 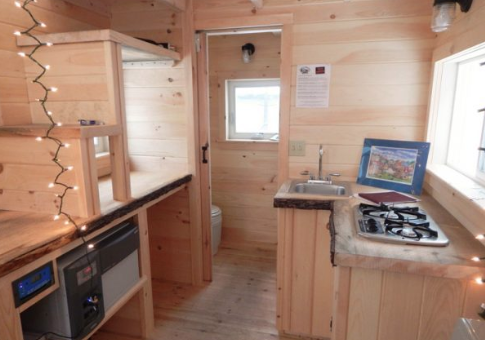 Following on the popularity of tiny homes and small cabins, these log cabin RVs occupy a small footprint but still give you the sense of adventure and self-sufficiency of log home living. These are handmade, one-of-a-kind cabins. It’s important to point out the difference between the two types of cabins known as manufactured (or mobile) and modular since the terms are often used interchangeably. They are not the same thing. Manufactured - a manufactured (also called pre-manufactured) log home is built to different, lesser standards than modular or site-built cabins. 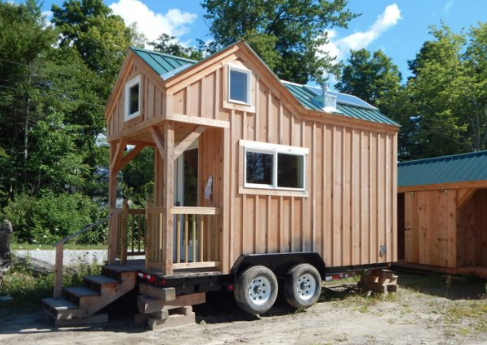 A mobile log home is built on a non-removable steel frame or chassis and transported on its own wheels. A manufactured or mobile log cabin is built with thinner wall structures and utilizes less insulation. When dealing with log home financing, these are considered “trailers” even though they may be placed on a foundation. Manufactured homes are built to adhere to a Federal code established by HUD (Housing and Urban Development) called the "Federal Construction Safety Standards Act". 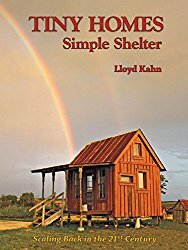 Modular - modular (also called pre-fab) log cabins are cabins that are built in a climate-controlled factory setting to the same building codes as a site-built cabin. They offer many advantages such as efficient and streamlined material orders, defined timelines without weather delays, and lower costs with controlled labor and working conditions. 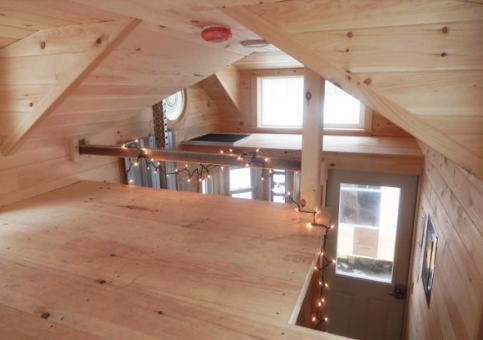 Modular log homes are a part of what’s called systems-built homes. Other types include cabins built using structural insulated panels (SIPs) or insulated concrete forms. You can save money by buying a manufactured cabin or log cabin mobile home, but you have to understand what you’re getting and make sure that it’s approved in your area. Check your local zoning and deed restrictions to ensure what is allowed. Some communities may have restrictions on the type of housing allowed and not all building inspectors are familiar with them. 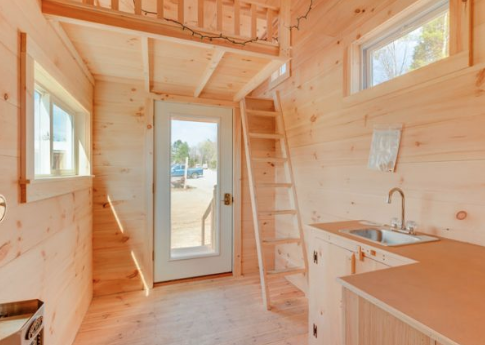 If you’d love to live in a log home but your budget won’t stretch to a full-sized cabin, you could consider a log cabin mobile home for a low-impact approach to a rustic lifestyle.